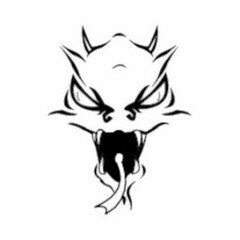 St Mirrens' stuff is good. Notably (I think) they are fan owned. There is already weekly Trust newsletters I think? Have a good one mate. You'll be able to get kids season tickets throughout the month. will be workies probably ... you're not barred from there yet are you ? Launching much later than normal and than we would have liked. Looking to smash the 15000 pieces of total kit donated, and hopefully get enough tops to see us finally cover every seat in the stand. Please share this as far and wide as you can with workplaces, schools, bb's, boys clubs etc etc. Further info to follow. I know mate. Only so much I can comment on. I can understand that completely, especially when there is no signing news etc. However, despite it being 'a stadium project', the club have received payments for :- 2 trackside boards :- half page programme advert :- 20 posters inside the concourse :- pop up banner on DTV etc. :- and a % of 300 hospitality guests. Adds up to a decent amount of money in the grand scheme of things, so the club has to promote the gig in return. Also, apart from Airdrie fans, most people think it's AFC who are putting on the gig, so it benefits us to be seen that way, as lots of local business who were lost to the club for so long are - gradually - coming back. Hope that makes sense? If anyone is at a loose end tomorrow and fancies cheap booze/something different. Club house will be showing both cup finals...£1.90 a pint...£1.30 a short. Airdrieonians Supporters’ Trust (AST) are proud to announce the first ever Sensory Cup, to be held between teams from Airdrie FC, Rangers FC, Middlesbrough FC and Sunderland FC. 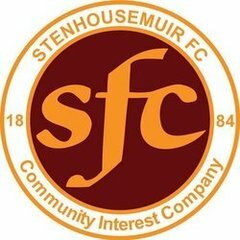 The contest will take place on Saturday 10 June at the Excelsior Stadium in Airdrie, who are sponsoring the tournament. It involves clubs who have installed sensory rooms in their stadia for those who suffer from a Sensory Process Disorder (SPD), such as Autism. The stadium will be open from 10:30am, with the first match kicking off at 11:15. In January this year, Airdrie became the first club in Scotland – and at that time, only the fourth in Britain – to install a sensory room to allow children with an SPD to watch the game with their families in a safe and calm environment. Sensory equipment, ear defenders and chill out zones are among the features that help children to watch matches that would previously have been a harrowing and uncomfortable experience for both them and their families. AST has adopted a ‘Football for Everyone’ philosophy, and have enjoyed seeing families enjoy the game where previously they would not have been able to do so. Since its inception, the room has been full to capacity at every home match.Fundraising for specialised equipment spearheaded by AST has smashed its original target. Rangers followed suit in March of this year in Scotland, while in England, Sunderland, Middlesbrough, Watford and Notts County now have similar facilities. It is hoped that many more clubs will follow, and that the tournament will raise awareness. The tournament is the brainchild of Airdrie Youth Coach Stevie Burr, who was the driving force of the Diamond Sensory Room after seeing his 5 year old son Calum struggle to last a whole match. He and his Sunderland counterparts have already booked the Stadium of Light for next years’, where it is hoped that even more clubs will feature after introducing sensory rooms. The teams on the day will have a variety of talents on display. 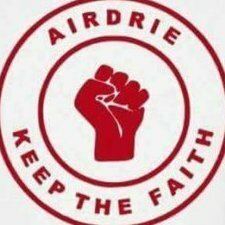 Ex-players, such as Bryan Prunty and Stephen Docherty will play alongside members of the Airdrie Ladies team who have helped fundraise, family members of some of the children who have benefitted from the room, and some of those in the local community who have helped get the project off the ground. The other 3 teams will also feature a mixture of fans, helpers, and some ex players, keeping with the ‘Football for Everyone’ theme. The day will end with players and fans of both teams mingling side by side in the stadium bar to watch the Scotland vs England match, and with two teams present from each side of the border, the banter is expected to be flying! Football fans of all clubs are invited along on the day to enjoy the occasion. The Diamond Sensory room will be open for any interested parties to come along and have a look. Entry is free, but a donation box will be set up at the main door, with all proceeds going to the Hope for Autism group in Airdrie, who have been a huge help in getting the room up and running. Also available from the Bon Bon and the Supporters Trust stall on matchdays.